Tim Buckley is Director of Energy Finance Studies, Australasia for IEEFA. Renewables are not yet the least costly option in every market, writes Tim Buckley, Director of Energy Finance Studies Australasia at the Institute for Energy Economics and Financial Analysis (IEEFA), but the pace of change demonstrates that a tipping point toward a new energy economy is coming, and fast. Article courtesy IEEFA. Records were smashed in the energy sector in 2017, with a dramatic drop in solar and wind prices driving a global transformation across the global electricity sector. Installations of wind and solar totaled almost 155 gigawatts (GW) last year, more than the entire installed power capacity in the U.K., meaning that renewables continue to far outpace coal-fired power plant development. Among the good news for consumers is that the lowest bids for solar dropped a remarkable 50% from records set in 2014 and 2015. Records tumble, one after the other, as solar and wind alike grow progressively cheaper. The transformation under way creates momentum for a rapid shift from fossil fuels by large utilities such as ENGIE in France, NTPC of India and NextEra in the US. Italy’s ENEL, which only founded its green power division in 2008, now derives half of its generating capacity from its 39.4 GW of renewable assets globally. And as renewable capacity increases, economies of scale kick in and prices fall further, compounded by technological improvements, availability of cheaper financing, and ambitious targets by governments with clear energy policies. The scale of offshore wind has moved from below 3MW per turbine at the start of this decade to a planned 12-15MW per turbine proposed for installation by 2024/25, a fivefold increase in 10 years. Records tumble, one after the other. Last year, for instance, saw record low solar costs broken not once, but four times and over a short period of time, raising questions as to whether it is realistic to expect this remarkable trend to continue. This momentum is not just gaining in a few sun-drenched markets like Saudi Arabia. Today it is feeding technology-driven transition worldwide. In 2017, a record 75 GW of solar power capacity was added by the three largest thermal power-consuming nations: China (53 GW), the U.S. (12GW), and India (10GW). These are big numbers. To put them in perspective, 75GW is greater than the total of all electricity power capacity of Australia or Indonesia. While solar is grabbing global headlines, the prize for the world’s cheapest energy went elsewhere in 2017, to wind. In November 2017, Italy’s Enel Green Power made the lowest-ever bid for electricity generation in a Mexican wind auction. While wind’s recent cost decline has not been as universally stellar as solar’s, mostly because wind is a more mature sector, its price downtrend in 2016 and 2017 has been precipitous, particularly in countries with the most favorable conditions and//or policies. NextEra projects that by the mid-2020s renewables will produce electricity cheaper than existing thermal power plants in America. In the latest wind auction in India, the winning bid came slightly below the lowest solar power bid of $38.45/MWh for the Bhadla Solar park in December 2017. Even though it was just a 6% decline from the previous lowest wind tariff, deflation since the introduction of transparent reverse auctions in 2017 is in the order of 50% (Rs2.43/kWh vs Rs4.5-5.00/kWh). The largest and the most unexpected decline, of 60%, was reported at the end of 2017 in Alberta, Canada at US$37/MWh. Likewise, Xcel Energy’s December 2017 auction saw wind power in Colorado hit a new U.S. record low of just US$18.10/MWh, down 50%. IEEFA sees India, well of its start tow electricity generation, getting there by 2020. Pricing trends in the offshore wind markets of Germany and the U.K. surprised everyone in 2017, with a series of outstanding auction results highlighting cost deflation trends across one or two that were expected to take a decade to materialize. The scale of offshore wind has moved from below 3MW per turbine at the start of this decade to a planned 12-15MW per turbine proposed for installation by 2024/25, a fivefold increase in 10 years. And offshore wind has moved from below 3MW per turbine at the start of this decade to a planned 12-15MW per turbine proposed for installation by 2024/25, another fivefold increase. Investor-required rates of return have likewise decreased materially as the technology involved becomes more widely accepted and construction procedures de-risked. For countries still considering future electricity generation needs, rapidly deployed renewables increasingly offer the best option in terms of cost. IEEFA notes that Japan, India, South Korea, Taiwan, France and the U.S. are all now implementing plans for a rapid scaling up of new renewable energy technology after a decade of pre-commercial viability investment by Germany, Denmark and the U.K.
A growing number of governments have decided to diverge from the legacy fossil fuel power generation, and this rampant, deflationary trend around renewables will give economic credence to this decision. New investment decisions favor renewables because of their commercial merit, their lower externalities, the diversity of supply they bring to the grid, and as a way to avoid stranded asset risks of the sort that plagues thermal power plants which, once built, generally have a 40-50-year lifespan. 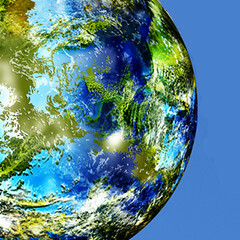 Leadership in this trend is becoming more geographically widespread, with India, Mexico, Chile, Argentina, Australia, Canada and the UAE joining the more traditional global frontrunners of China, America, Germany, Denmark and the U.K.
For countries still considering future electricity generation needs, rapidly deployed renewables increasingly offer the best option in terms of cost. Even in mature economies, replacing fossil fuel imports with renewables is increasingly the answer, with Taiwan, South Korea and others countries like them having started the shift in 2017. Renewables are not yet the least costly option in every market, but the pace of change demonstrates that a tipping point toward a new energy economy coming, and fast. This article was first published on the website of IEEFA and is republished here with permission from the author. Thank Tim for the Post! 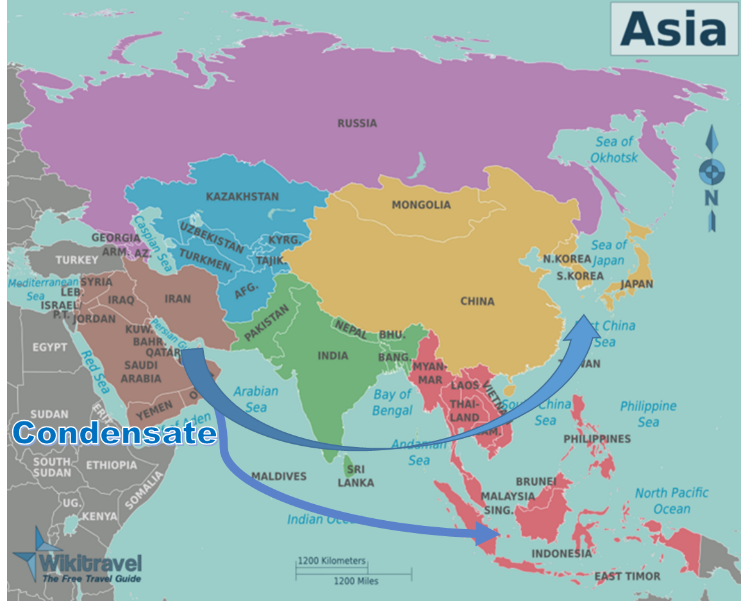 East and Southeast Asia is the major consumer of the Middle East gas condensate. Iran plans to reduce its gas condensate export to zero by increasing condensate processing capacity. Qatar also decreases its condensate exports by expanding..
Optimizing integration of renewable energy resources, managing distribution of decentralized generation and ensuring grid stability with an eye towards lowering consumer energy costs and GHG emissions are focal points of the smart grid project. Distribution System Operator roles and organizational structures are the next evolutionary step required to democratize and fundamentally transform the way that utilities, businesses, and homes participate and interact with the electric power grid. Nathan, likely Bloomberg's authors didn't forget anything - they probably weren't aware of the accomplishments of France and Sweden.